The project: A Greek cityscape and its people. A study of Ancient Hermion is a collaboration between the Ephorate of Antiquities of Argolida and the Swedish Institute at Athens. The fieldwork began this summer with five intensive days of 3D laser scanning and surveying with GPS. Focus lay on the presumed temple of Demeter Chthonia and its surroundings. 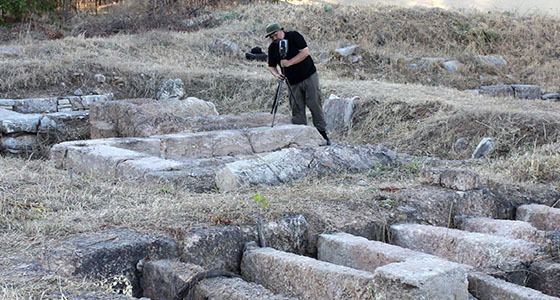 We furthermore traced the ancient city wall and started re-investigating visible remains in the important necropolis situated along the road to the ancient city of Mases.